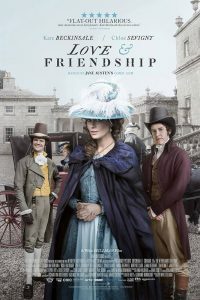 Poster for the movie, Love & Friendship. One movie I am especially excited about seeing this month is Love and Friendship. 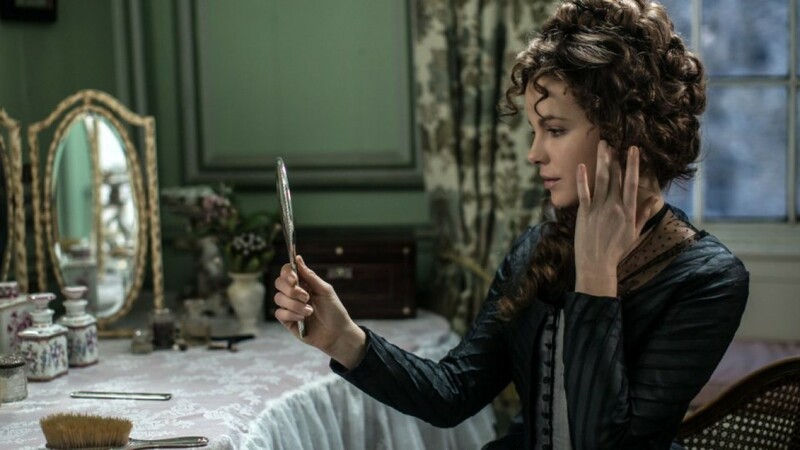 This is a film based on Jane Austen’s novella Lady Susan and it is getting rave reviews. It stars Kate Beckinsale and Stephen Fry. Visit the movie website to see the movie trailer and reviews. Lady Susan is a vampish widow, who wants to marry a rich man and also get her daughter married to a rich man. Jane Austen wrote it when she was about 19 years old. The film is directed by Whit Stillman. I am puzzled by his choice of title for the film. Love and Freindship (the mis-spelling is Jane Austen’s, not mine) was another early work of Jane Austen’s, about two sentimental young ladies and their misadventures, so the use of that title for a totally different work is confusing, but I am thrilled that the film has been made at all so will not cavil too much over what it has been named. Do read Lady Susan, which was first published in 1871, before you go and see the film – it is a very funny work and shows how Jane Austen’s genius was flourishing even when she was a teenager. I’ve provided links below to download an ebook or an audio book, both free from Project Gutenberg. So, which did you prefer, the book or this new film adaption? I’d love to hear your thoughts. I agree, Tom. It is a very clever adaptation and Kate Beckinsale was fabulous. My main complaint was that I really did not like the actress playing her friend Alicia and cannot see why they had to make her American.